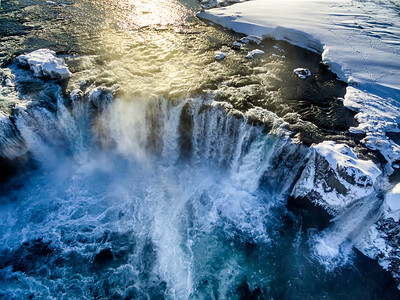 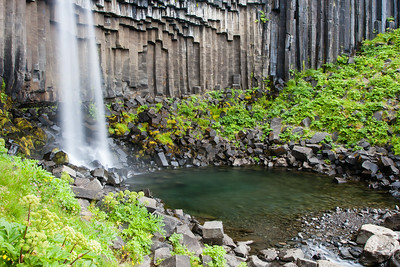 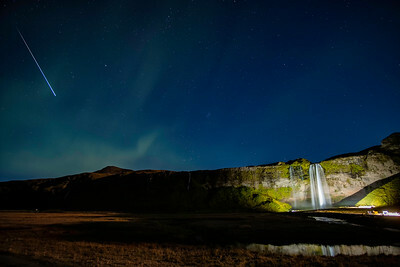 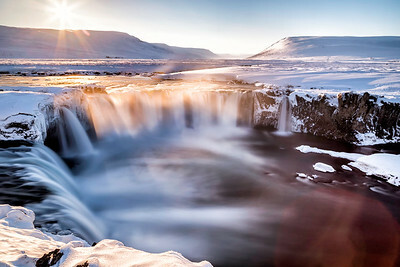 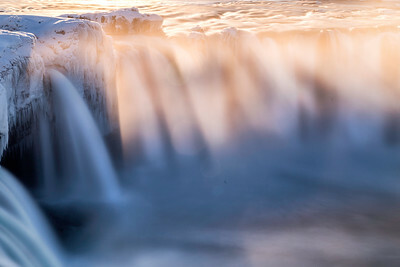 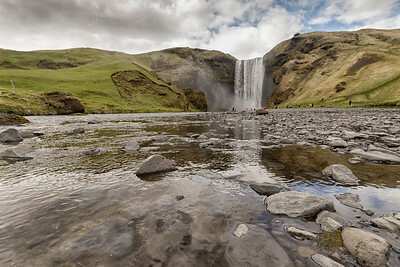 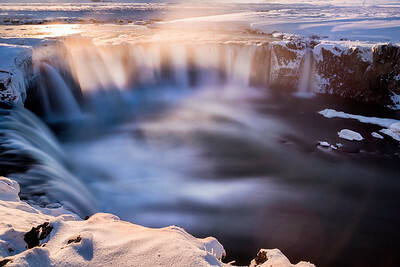 A gallery of Icelandic waterfalls shot at various times, include famous places such as Gullfoss and Goðafoss and also lesser know and smaller waterfalls around Iceland. 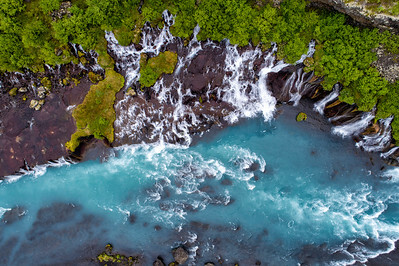 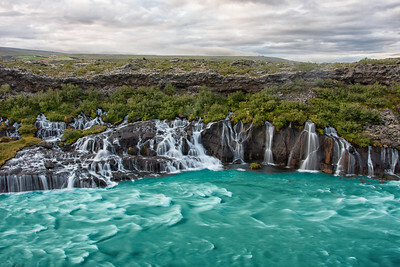 Hraunfossar in western Iceland in late summer. 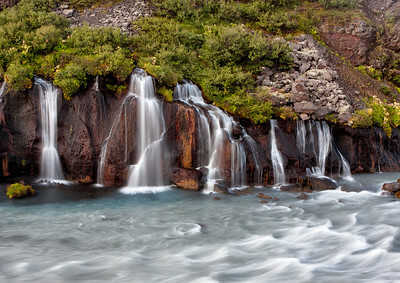 Long exposure to blur the fast moving water a bit. 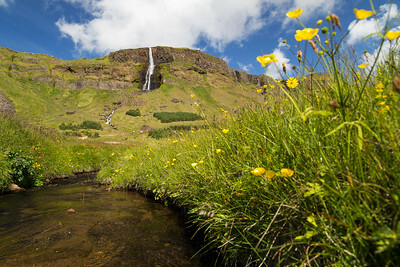 Summerday in the country side of Iceland, small stream coming down from a mountain with a waterfall in the background. 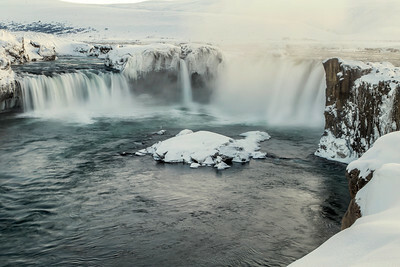 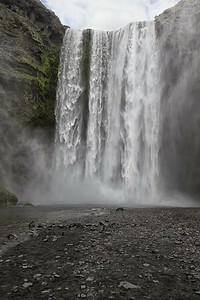 Skógá and Skógafoss waterfall, shot from downriver in early icelandic spring.